If you suffer from Psoriasis or know someone that does then be prepared to hear about a treatment that made from natural ingredients, but can help with different things throughout your whole body. I am talking about the use of Essential Oils for Psoriasis not only a treatment for when an occurrence happens but also to stabilize the emotions that bring the occurrences out. I’m sure you or someone you know has tried the treatments you can get over the counter or by prescriptions and had other side effects or even made things worse. Well I am glad to tell you that this treatment with the use of Essential Oils have many uses that not only help as a treatment for your Psoriasis but other aspects within your body as well. They are known to have antibacterial uses, help with detoxification of your body, and is even helps reduce stress. 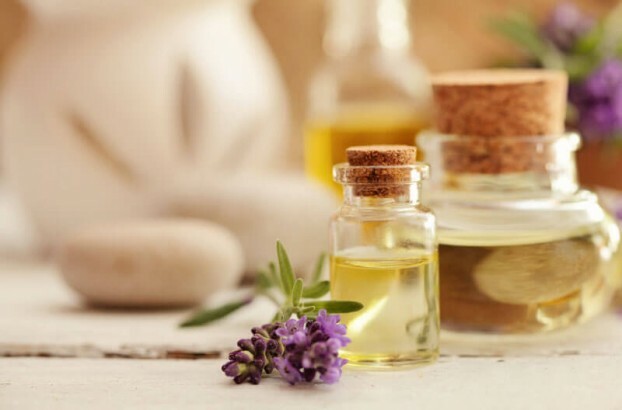 With the use of essential oils for treatment you need to know a few things about how to use them, in what amounts, and what if anything it may need to be mixed with before applying. First off there our types of Oils called Base or Carrier Oils that the Oils may need mixed with. These base oils that are used most commonly are: Olive oil, Sesame oil, Grape Seed oil, Sweet Almond oil, and Jojoba or Castor oil. Geranium Oil – The usage of Geranium Oil mixed with a Base Oil and then applied to the affected areas has been found to be an effective treatment as it helps to bring those body tissues to comfortable and moisturized state. Juniper Oil – The usage of Juniper Oil for treatment of your Psoriasis as it has been found to help circulate and purify your blood. Because of the potency of this oil has an is not to be used on children or pregnant women. Thyme Oil – The usage of Thyme Oil has been found to extremely useful in treatment for Psoriasis. This oil needs to be mixed with a carrier or base oil before application. This oil has been found to cause the one of the greatest amounts of relief when applied externally to an occurrence. Because of the potency of this oil has an is not to be used on people who suffer from high blood pressure or pregnant women. Tea Tree Oil – The usage of Tea Tree Oil as a treatment when applied externally helps with several different aspects that relate to your Psoriasis can also be applied with the use of a diffuser. It is known to reduce the inflammation of tissue and help your body to regenerate lost cells. Because of the potency of this oil use on children under the age of 6 is not recommended. Lavender Oil – The usage of Lavender Oil as a treatment can help in a few different ways. Because of its antibacterial properties, it can help in the prevention of new infections in an affected area. This oil is also helpful in lessening the itchiness of affected areas and to help the user with a reduction in their anxiety and stress levels. Next story How Effective Operation Management Can Positively Impact Companies In Achieving Business Goals?